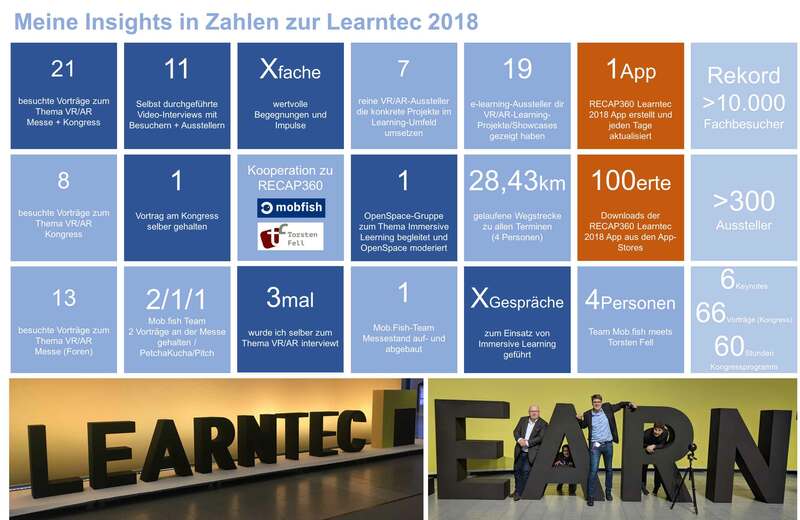 Sie finden hier Studien, veröffentlichte Master-/Bachelorarbeiten und Forschungsergebnisse aus aller Welt zum Thema Learning/Education mit und in VR/AR. Wenn Sie selber eine Arbeit geschrieben haben, können Sie gerne diese über das untenstehende Formular melden, nach Prüfung, wir diese hier veröffentlicht. Die Informationen werden nach und nach in die unterstehenden Kriterien einsortiert. Asai, K.; Kobayashi, H.; Kondo, T.: Augmented Instructions – A Fusion of Augmented Reality and Printed Learning Materials. In (Goodyear, P.; Sampson, D. G.; Yang, D. J.; Kinshuk; Okamoto, T.; Hartley, R.; Chen, N., Hrsg. ): Proc. of the 5th IEEE Int. Conf. on Advanced Learning Technologies, IEEE Computer Society, Taiwan, S. 213-215, 2005. Aoki, H.; Oman, C., M.; Natapoff, A.: Virtual-Reality-Based 3D Navigation Training for Emergency Egress from Spacecraft. Aviation, Space and, Environmental Medicine 78/8, S. 774-783, 2007. Aoki, H.; Oman, C. M.; Buckland, D. A.; Natapoff, A.: Desktop-VR system for preflight 3D navigation training. Acta Astronautica 63/7, S. 841-847, 2008. Bente, G.; Krämer, N. C.; Petersen, A.: Virtuelle Realität als Gegenstand und Methode in der Psychologie. In (Bente, G.; Krämer, N. C.; Petersen, A., Hrsg. ): Virtuelle Realitäten, Hogrefe Verlag, Göttingen, S. 1-32, 2002. Chow, J. et al. 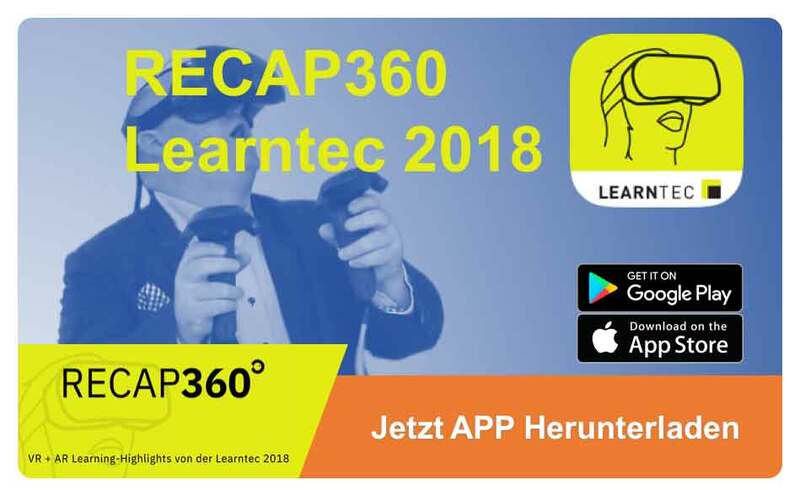 : Music Education using Augmented Reality with a Head Mounted Display. In (Smith, T. S.; Wünsche, B. C., Hrsg. ): Proc. of the 14th Australasian User Interface Conference, Australian Computer Society, Australien, S. 73-79, 2013. Dörner, R. et al. 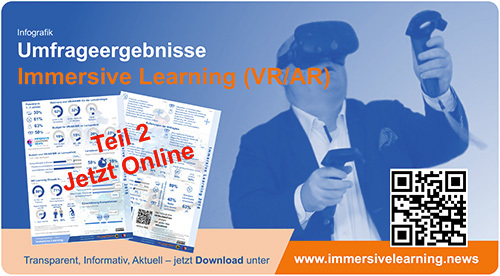 : Virtual und Augmented Reality (VR/AR): Grundlagen und Methoden der Virtuellen und Augmentierten Realität, Springer Berlin Heidelberg, 2013. Grabowski, A.; Jankowski, J.: Virtual Reality-based pilot training for underground coal miners, Safety Science 72, S. 310-314, 2015. Höntzsch, S. et al. : Simulationen und simulierte Welten – Lernen in immersiven Lernumgebungen. In (Ebner, M.; Schön, S., Hrsg. ): Lehrbuch für Lernen und Lehren mit Technologien, epubli GmbH, Berlin, S. 327-334, 2013. Iwane, N. et al. : Learning by Body Action: A Virtual Environment for Refraction of Light. In (Alhajj, R.; Joshi, J.; Shyu, M.-L., Hrsg. ): IEEE Int. Conf. on Information Reuse and Integration, IEEE Computer Society, Las Vegas, S. 462-467, 2011. Juan, C., Beatrice, F., Cano, J.: An Augmented Reality-System for Learning the Interior of the Human Body. In (Diaz, P.; Kinshuk; Aedo, I.; Mora, E., Hrsg. ): 8th IEEE Int. Conf. on Advanced Learning Technologies, IEEE Computer Society, Spanien, S. 186-188, 2008. Jackson, L., R.; Fagan, E.: Collaboration and Learning within Immersive Virtual Reality. In (Churchill, E. Reddy, M., Hrsg. ): Proc. of the 3rd Int. Conf. on Collaborative virtual environments, ACM New York, San Francisco, S. 83-92, 2000. Juanes, J. A.; Ruisoto, P.; Briz-Ponce, L.: Immersive Visualization Anatomical Environment using Virtual Reality Devices. In (Garcia-Penalvo, F. J., Hrsg. ): Proc. of the 4th Int. Conf. on Technological Ecosystems for Enhancing Multiculturality, ACM New York, Spanien, S. 473-477, 2016. Kleven, N., F. et al. : Training Nurses and Educating the Public Using a Virtual Operating Room with Oculus Rift. In (Wyeld, T. G.; Kenderdine, S.; Docherty, M., Hrsg. ): Int. Conf. on Virtual Systems and Multimedia, Springer Berlin Heidelberg, Australien, S. 206-2013, 2014. Kulcsár, Z. et al. 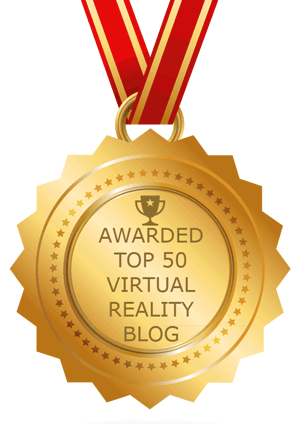 : Preliminary evaluation of a virtual reality-based simulator for learning spinal anesthesia. Journal of Clinical Anesthesia 25/2, S. 98-105, 2013. Low, K.-L. et al. : Combining Head-Mounted and Projector-Based Displays for Surgical Training. Presence: Teleoperators and Virtual Environments 13/2, S. 128-145, 2004. Martin-Gutierrez, J.; Guinters, E.; Perez-Lopez, D.: Improving strategy of self-learning in engineering: laboratories with augmented reality. Procedia – Social and Behavioral Sciences 51, S. 832-839, 2012. Mihelj, M.; Novak, D.; Beguš, S.: Virtual Reality Technology and Applications. Springer Netherlands, Dordrecht, 2014. Moher, D. et al. 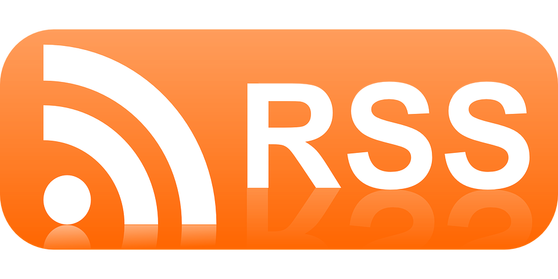 : Preferred reporting items for systematic reviews and meta-analyses: The PRISMA statement. International Journal of Surgery 8, S. 336–341, 2010. Schwan, S.; Buder, J.: Lernen und Wissenserwerb in virtuellen Realitäten. In (Bente, G.; Krämer, N. C.; Petersen, A. Hrsg. ): Virtuelle Realitäten. Hogrefe Verlag, 2002; S. 109– 132. 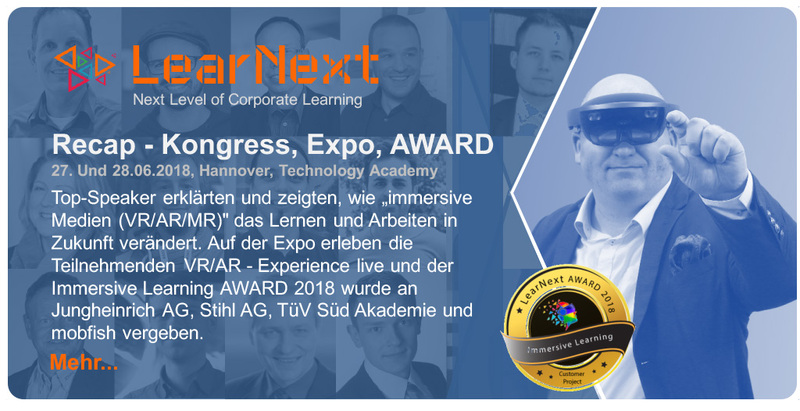 Schwan, S.; Buder, J.: Virtuelle Realität und E-Learning. Verfügbar unter: https://www.e-teaching.org/didaktik/gestaltung/vr/vr.pdf , 27.11.2016. Slater, M., Linakis, V., Usoh, M., and Kooper, R. (1996). Immersion, presence, and performance in virtual environments: An experiment with tri-dimensional chess. In ACM Virtual Reality Software and Technology (VRST), pages 163–172. Stevens, J. A. and Kincaid, J. P. (2015). The relationship between presence and performance in virtual simulation training. Open Journal of Modelling and Simulation, 3:41–48. Okimoto, M., L., L., R.; Okimoto, P. C.; Goldbach, C., E.: User Experience in Augmented Reality applied to the Welding Education. Procedia Manufacturing 3, S. 6223-6227, 2015. Peruzzi, A. et al. : Effects of a virtual reality and treadmill training on gait of subjects with multiple sclerosis: a pilot study. Multiple Sclerosis and Related Disorders 5, S. 91-96, 2016. Poupyrev, I.; Ichikawa, T.: Manipulating Objects in Virtual Worlds. Categorization and Empirical Evaluation of Interaction Techniques. In Journal of Visual Languages & Computing, 1999, 10; S. 19–35. Peden, R., G.; Mercer, R.; Tatham, A., J.: The use of head-mounted display eyeglasses for teaching surgical skills: A prospective randomized study. International Journal of Surgery 34, S. 169-173, 2016. Tate, D., L.; Sibert, L.; King, T.: Virtual Environments for Shipboard Firefighting Training. In: Proc. of the 1997 Virtual Reality Annual International Symposium, IEEE Computer Society, USA, S. 61-68, 1997. Villagrasa, S.; Fonseca, D.; Durán, J.: Teaching Case: Applying Gamification Techniques and Virtual Reality for Learning Building Engineering 3D Arts. In (Garcia-Penalvo, F. J., Hrsg. ): 2nd Int. Conf. on Technological Ecosystems for Enhancing Multiculturality, ACM New York, Spanien, S. 171-177, 2014. Yang, M.-T.; Liao, W.-C.: Computer-Assisted Culture Learning in an Online Augmented Reality Environment Based on Free-Hand Gesture Interaction. IEEE Transactions on Learning Technologies 7/2, S. 107-117, 2014.